When I saw this month's Verve Inspiration Challenge, I just knew I had to play! 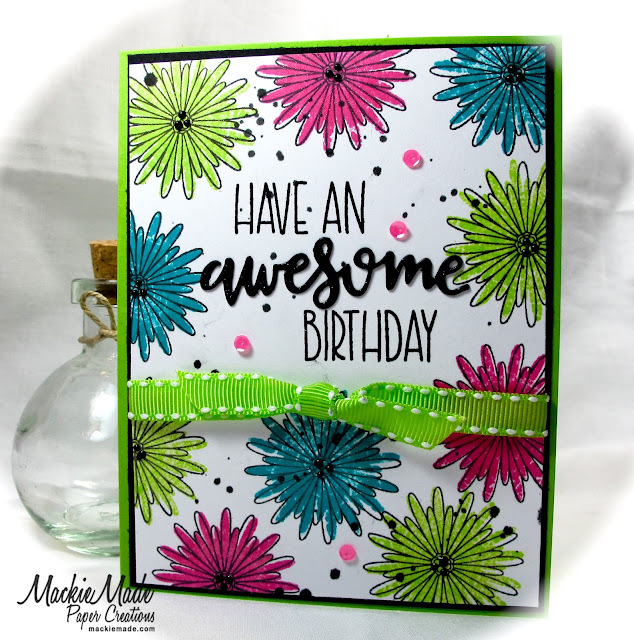 Here is the card I created for this challenge featuring the new Verve stamp -SIMPLY AMAZING! I gave this card to one of my very sweet friends! Beautiful bright card with lovely flowers, Mackie!!! This is so gorgeous, Mackie! Such a perfect interpretation of the inspiration. Thanks for playing along! OH how pretty!! You've really captured the feel of the inspiration photo, Mackie, great job! So pretty Mackie! Great way to showcase all those vibrant colors!